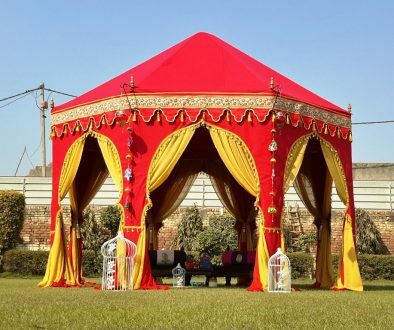 This beautiful Octagon Pavilion is made to erect in gardens as well as inside Banquet Halls. 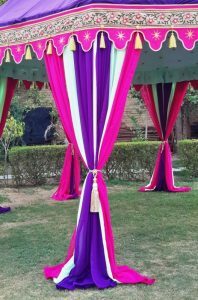 The striking mix and match of different colors looks absolutely stunning and it will add an extra elegance to your party. 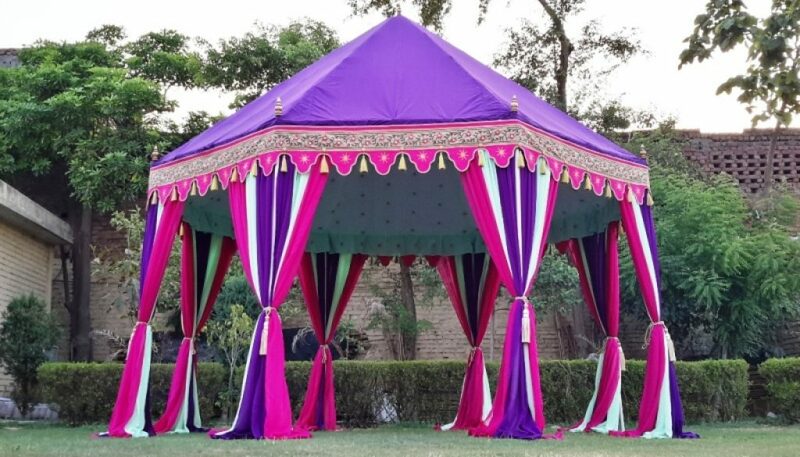 This Octagon Tent is 4m diameter. You can also customize colors, sizes and combinations according to your requirements. 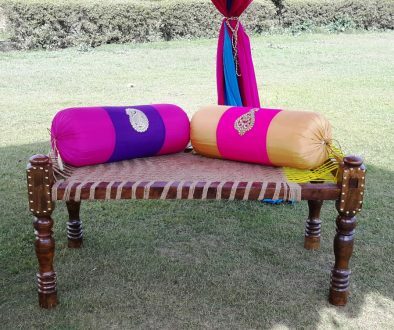 Our Luxury handmade Indian Tents are very durable and made from the best quality fabrics to last long. 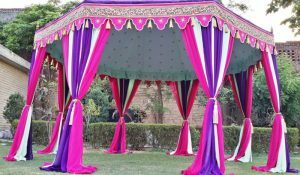 You can customize your Wedding Tent with us, according to your wedding theme, size, taste and colors, our creative team will hear you out and design the Best Indian Tent for your big event ! 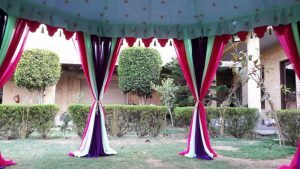 We offer the best quality and most durable Tents, we make Tents in our own Tent Factory and supply them worldwide to our clients. 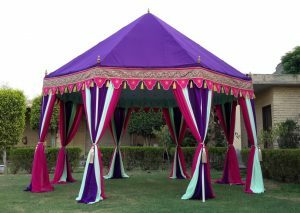 We have been exporting our Beautiful Tents from the last almost 40 Years. 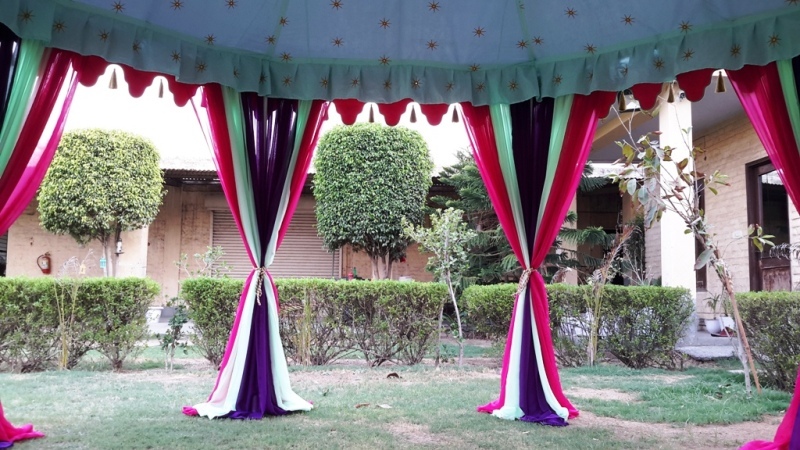 We have a wide range of tents to choose from. 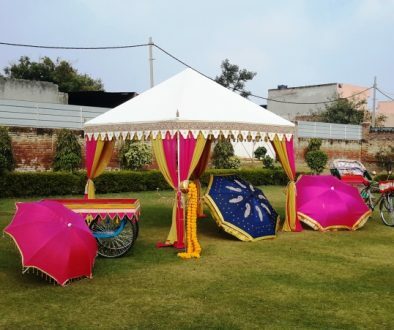 We also make beautiful matching Garden Umbrellas to decorate your venue.